I’ll try to answer why I switched after the unboxing photos. 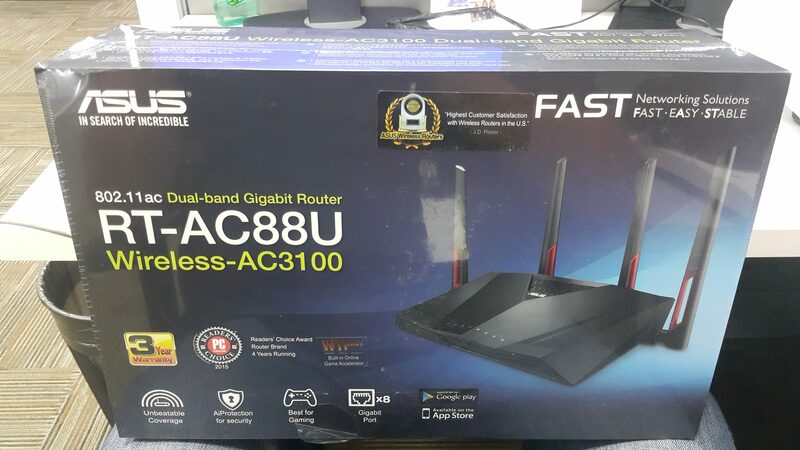 The box of the RT-AC86U router is big but not as big as the RT-AC88U’s. You can also see some of the features and marketing material in front of the box. 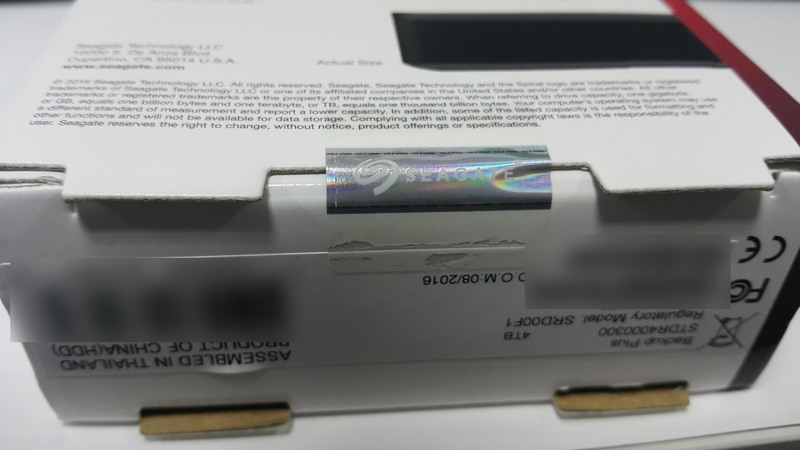 Looking at the packaging closer, you’ll see that the logo for AiMesh and RangeBoost are just stickers which were added after the box was produced. This is due to AiMesh being made available to select router models via firmware update. 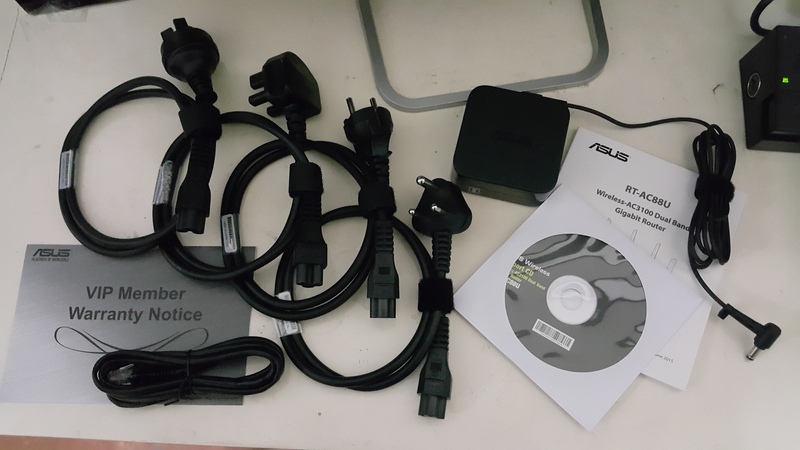 In other words, AiMesh came out after the RT-AC86U was released in the market. The actual box that holds all the hardware is just a white box. A big difference from the box of the RT-AC88U. 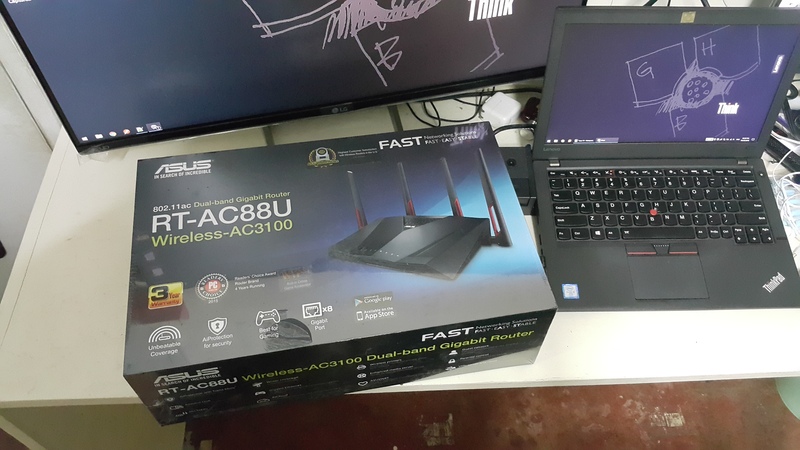 Upon opening the box, you’ll be greeted with the router itself and the WTFast flyer. Holding the router and other hardware components is a recycled carton similar to what Starbucks is using as take-out trays. Here’s a closer look of the other hardware components that comes with the unit. The 3 antenna on top, 1 RJ45 LAN cable, the power brick and 3 outlet plug options. Here are the box contents for posterity. 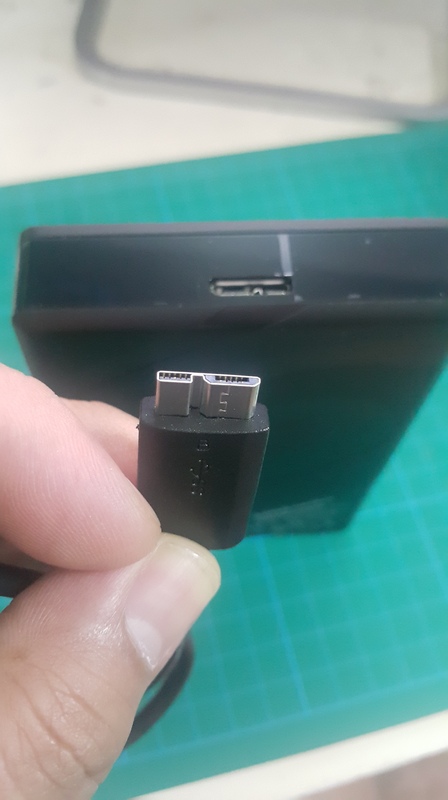 The power brick is much smaller compared to the RT-AC88U’s and also plugs in directly to the wall outlet instead of having a cord that goes between the power brick and the wall outlet which is what the RT-AC88U has. This is where you slot-in one of the three optional outlet plugs. Here’s a closer look of the three outlet plug options that came with the box. Type C on top, Type G on the left and Type I on the right. Finally, the three antenna looks bland because it does not have any red color accents unlike the ones from the RT-AC88U. I think I can swap the antenna on both units. Got about a year out of it before problems set in. Another big reason that convinced me to switch to the RT-AC86U instead of buying another RT-AC88U (AiMesh anyone? 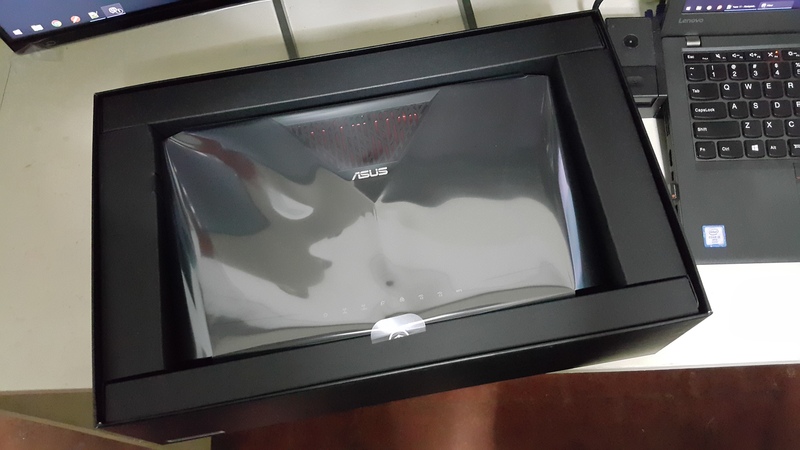 But then again AiMesh promises mixed routers should work) or going through the hoops of returning the unit to Asus is the age and design of the hardware. Just by looking at the model numbers, you’d think that the RT-AC86U is a generation behind the RT-AC88U. But that is not the case. The RT-AC88U was actually released back in October 2015 while the RT-AC86U was released in August 2017 – almost a two-year gap between the two. Given the two-year gap, the routers used a processor that’s available at the time of release (Broadcom’s 1.4GHz BCM4709C0 on the RT-AC88U vs. 1.8GHz BCM4906 on the RT-AC86U) which explains the difference in speed. 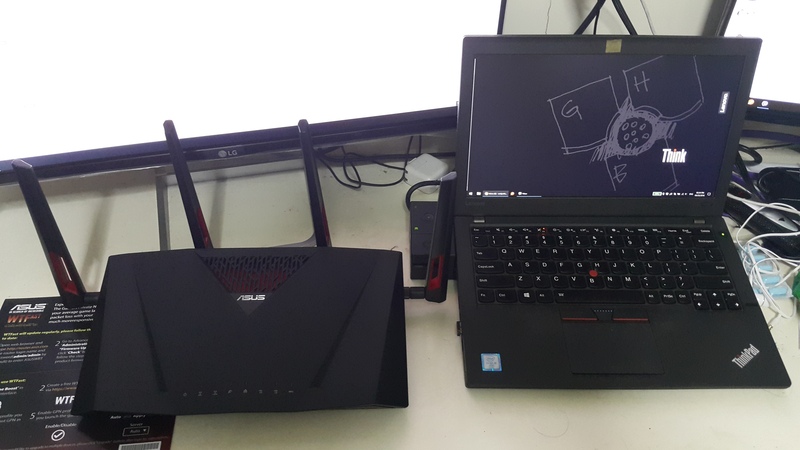 The difference in speed is really noticeable when booting, navigating, modifying settings and rebooting the routers and the RT-AC86U comes out on top. The box of this router is big. And I mean really big! In all honesty, I wasn’t expecting it to be this huge. 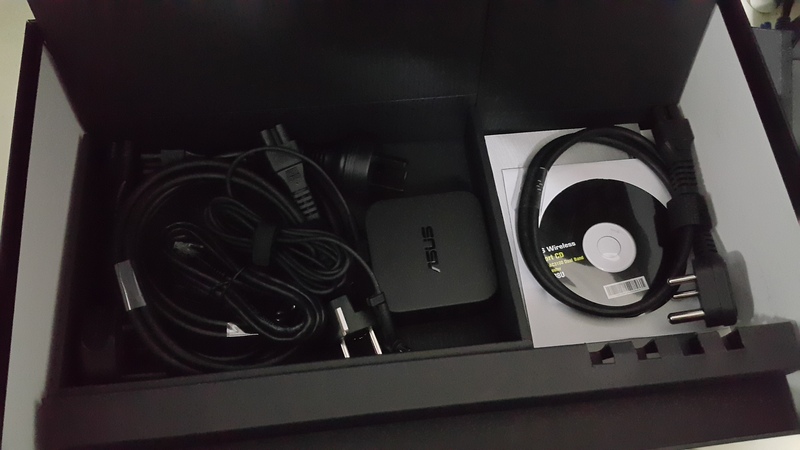 Once you remove the top part of the box, you’ll be greeted with the router in it’s plastic cover. 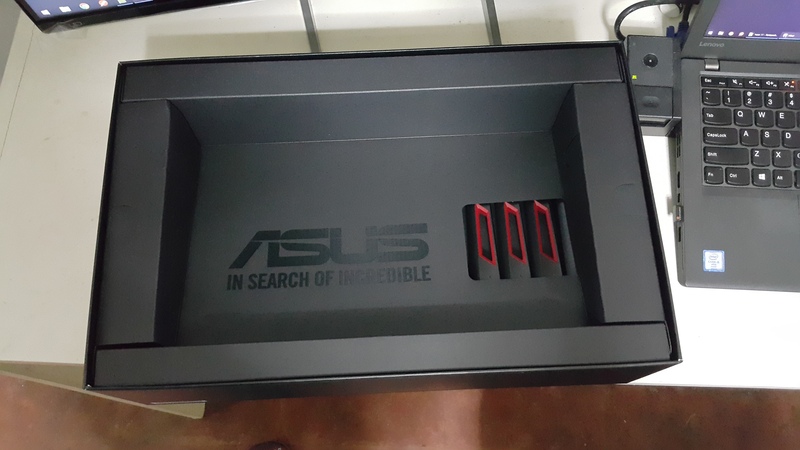 After removing the router itself, you’ll be greeted with the Asus logo and it’s tag line. You’ll also see three of the four antenna peeking out. 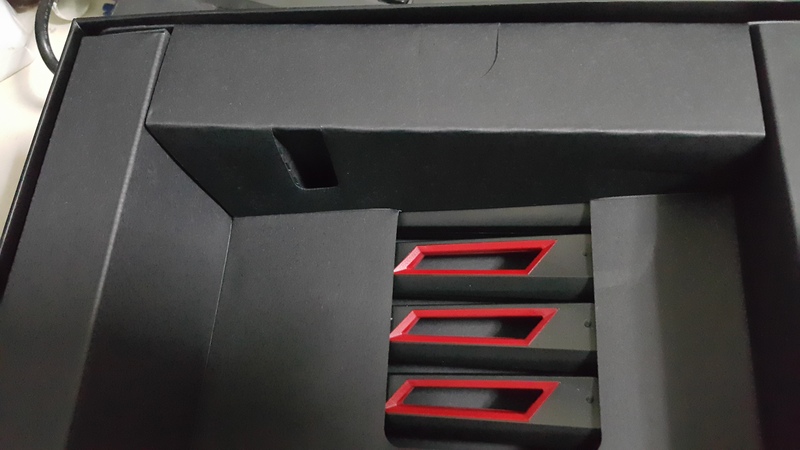 What I loved in this unboxing was the attention to detail made by the manufacturer. 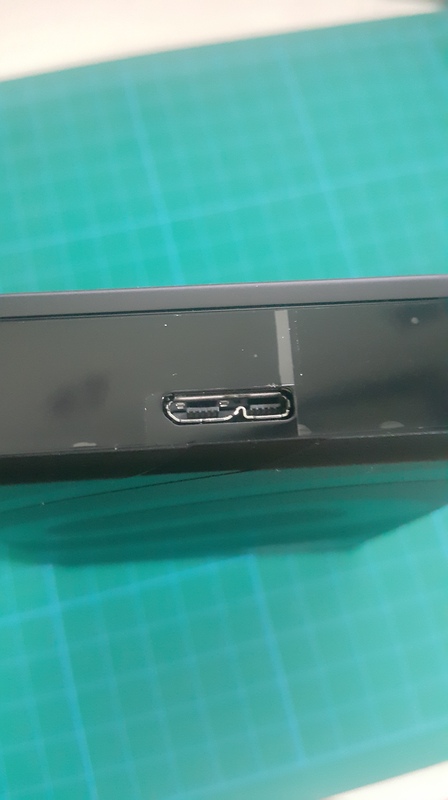 They have cutouts and thumb holes that helps in the removal of the packaging without damaging the other parts or ruining the unpacking experience for a peripheral that cost this much. 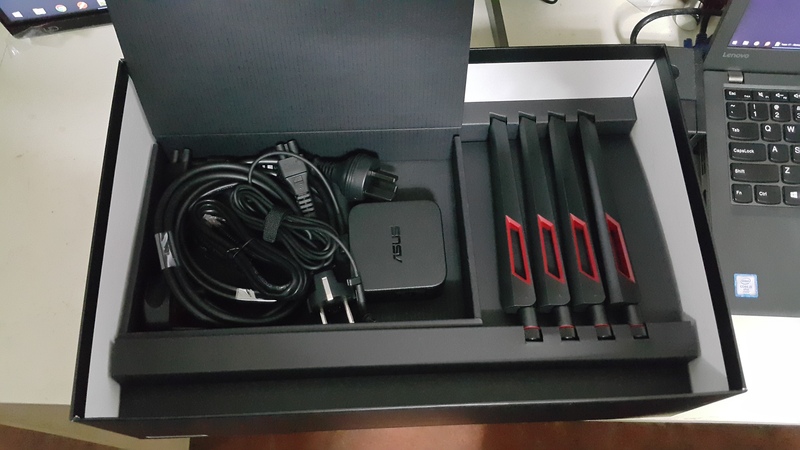 Once the upper layer that held the router is removed, there is a small compartment underneath the Asus logo that holds two LAN cables, the AC adapter and cord options. Removing the four antenna reveals another compartment that holds a cord option, CD and user’s manual. Here are the contents for posterity. Notice the different cord options which is a nice addition since there wouldn’t be a need for a plug adaptor if the available wall socket is not compatible. It has different wall socket options from different regions like US, UK and ASIA. 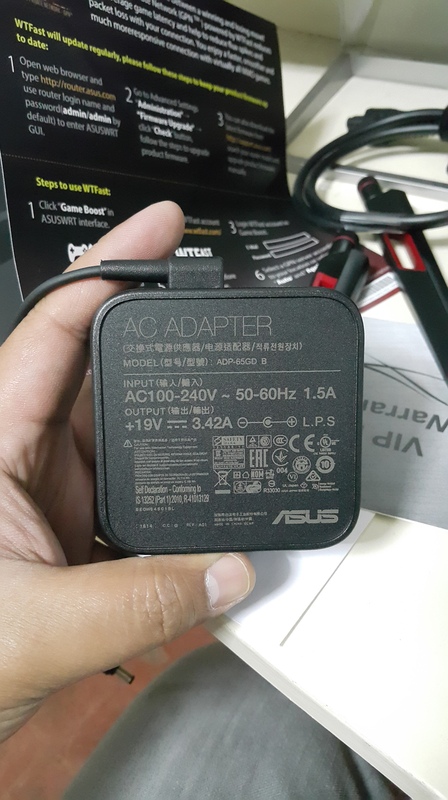 Here’s a close-up shot of the AC adapter. The label on the box says 200GB of Cloud Storage for OneDrive is included but must be activated by June 20, 2017. 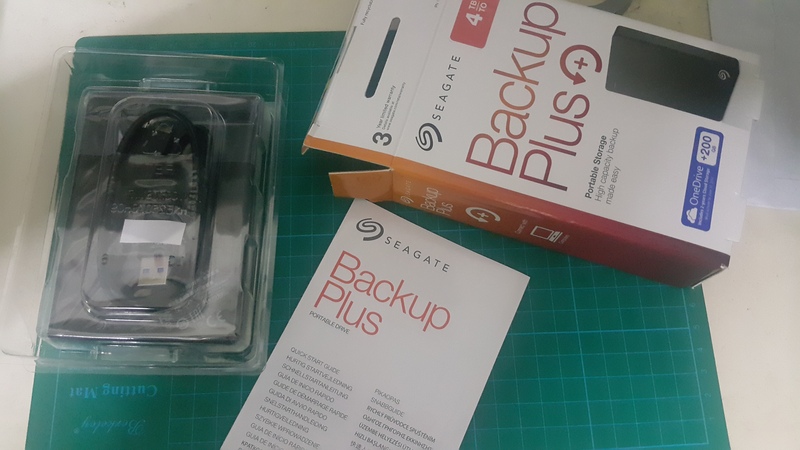 The top of the box is has a tamper-evident seal that guarantees that the initial contents of the drive came straight form the manufacturer. The same tamper-evident seal can be found on the bottom of the box. This is how it would look like if the seal has been tampered with. 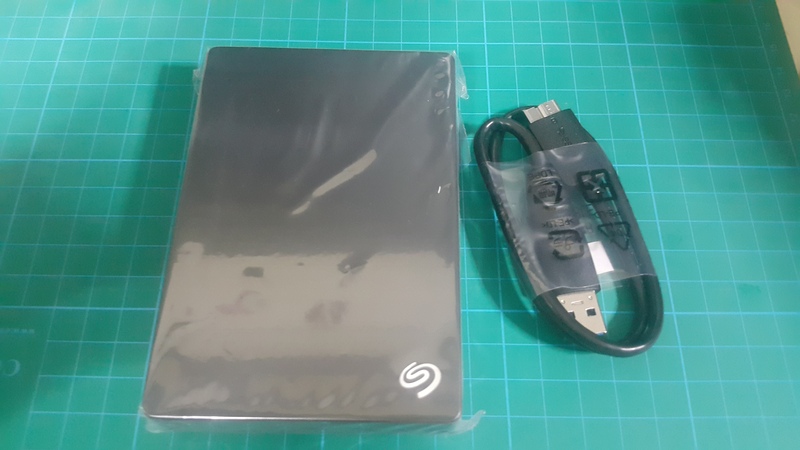 The contents of the box are the Quick Start Guide and the drive itself inside a protective plastic shell which also contains the USB cable. 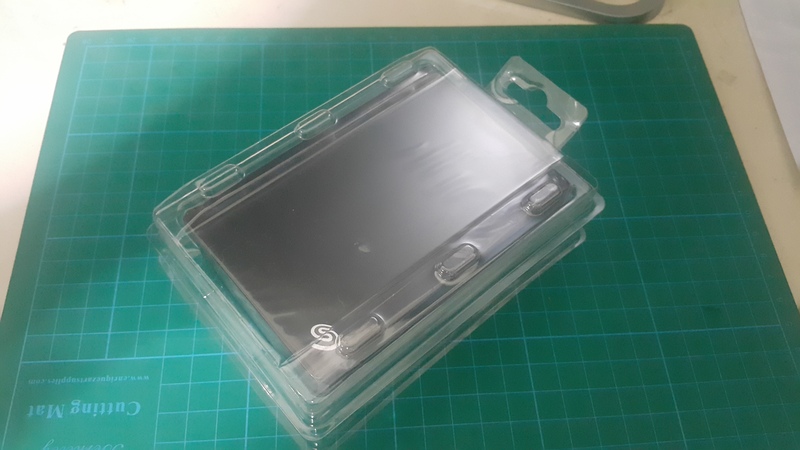 Here’s the “top” of the protective plastic shell. Notice the six nubs that should somehow absorb and distribute the force should there be any impact from this side during transit. The protective shell is easy to open, much like Amazon’s frustration-free packages. 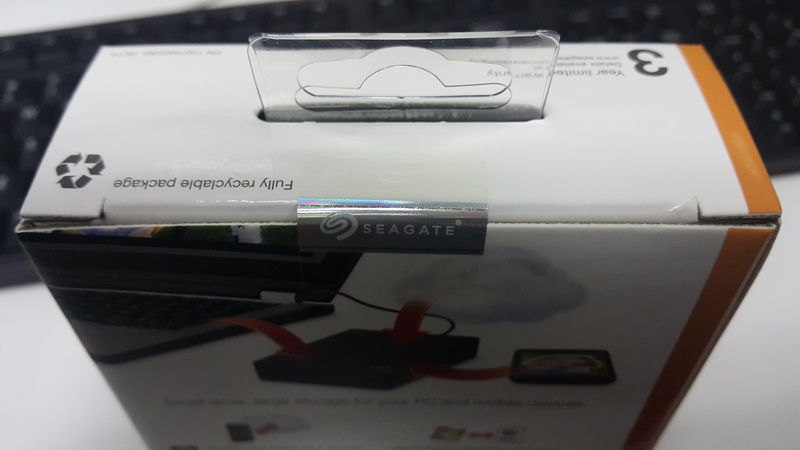 The drive is wrapped in plastic inside the plastic shell together with the USB cable. 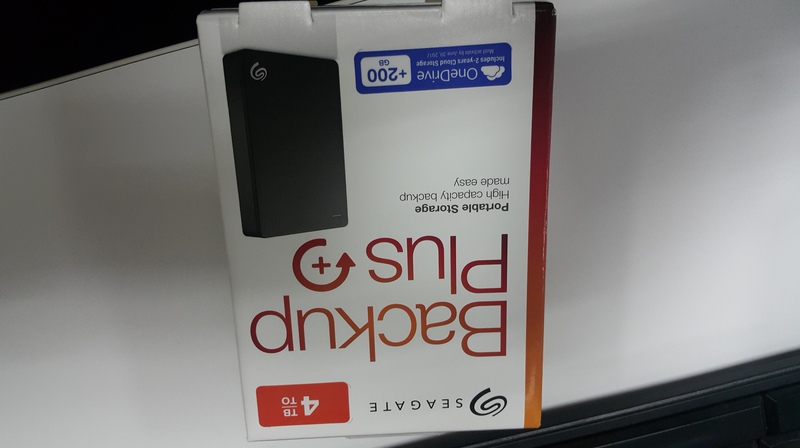 The drive itself comes with a Micro-B SuperSpeed USB receptacle. The included cable is a Micro-B SuperSpeed on one end and a standard Type-A on the other end.